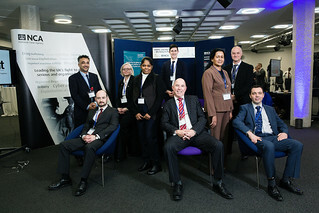 In the wake of increased media interest and public concern, more than 200 tax crime and economic crime experts from around the world came together to discuss ways to tackle tax and economic crime more effectively. The Forum brought together experts on tax, customs, anti-corruption, anti-money laundering, policing, and prosecution, to take stock of the threats posed by tax crime, the progress made in combating it, and the priorities for action. Ensure that professional enablers help people pay the tax they owe, and play their part in tackling tax crime. Step-up the level of international and cross-government co-operation to build a comprehensive and global response to tax crime. 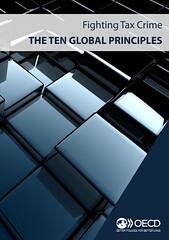 Learn the lessons from around the world about how best to respond to tax crime by implementing the OECD's Ten Global Principles. Build capacity in all countries - including developing countries - to combat financial crimes so that there can be no hiding place for tax criminals. The purpose is to allow jurisdictions to benchmark their legal and operational framework, and identify areas where improvements can be made. Future work in this area will include adding country specific details, covering a wide range of countries. 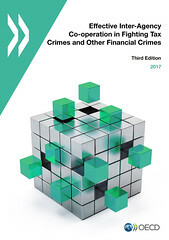 This report describes the current position in 51 countries as to the law and practice for domestic inter-agency co-operation in fighting tax crimes and other financial crimes including, for the first time, co-operation with authorities responsible for the investigation and prosecution of corruption. It identifies successful practices based on countries' experiences of inter-agency co-operation in practice and makes recommendations for how co-operation may be improved. For more information regarding this event, please contact OECD.TaxandCrime@oecd.org.